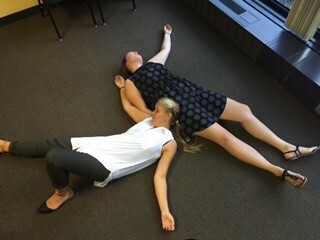 Jess and I after day one of student teaching. This week Wednesday, marks halfway through my adventure in Chicago. Though, barely halfway through this semester, I feel that the opportunity to Student Teach in Chicago, has been one of dramatic growth. As I spend time in reflection, I can identify many areas in which I have matured or changed in the last 7 weeks. These changes have taken place in my personal life, in the classroom (both as a teacher and as a student), and in my relationships with others. Below, I will highlight a few of these areas, what I have learned, and overall what I have seen in myself over the course of the semester (so far). One of the areas of growth that was easy to spot from the beginning of the semester, at least to me, was the writing of this blog. Normally, as an introverted person, opening up and sharing my thoughts with others in writing makes me shutter. Even my dearest friends and relatives have not read my writing, or rather, have never been allowed to read my writing. My thoughts are normally something I prefer to keep to inside my head. That being said, writing my deepest thoughts, or even shallow thoughts on paper for all to see has always been horrifying to me. However, upon being asked by one of my Supervisors, Lisa, to write the blog, I began to think of what this could do for me. This semester as a whole, is an opportunity for me to push past my comfort zone. Through this blog, and in turn the vulnerability that comes with writing it, I am free to share more of myself with those around me. When I look at the growth I have had thus far in my student teaching, I cannot help but laugh. Entering into student teaching I was a scared little education student, afraid of what the future would hold. I had worked in many classrooms before, however none as extensively as I would be Hayt Elementary. I had only aided in classrooms, spending roughly 15-20 hours a week at a school. This would soon become the amount of time I spent at Hayt for about two days of my week. Student teaching is unlike anything I have experienced thus far in my teacher preparation. It really is just that, teacher preparation. Each week in my student teaching, I create around 20-25 lesson plans, resources, and modifications for my students. This is by no means easy, and I am certainly not done growing in this area (and likely will never be), however I have come leaps and bounds from my first day of student teaching when I thought I wasn’t going to make it. Finally, I have grown in the relationships I have with those around me at Chicago Semester and those far from me. Last weekend I had the opportunity to spend time with a few high school friends. 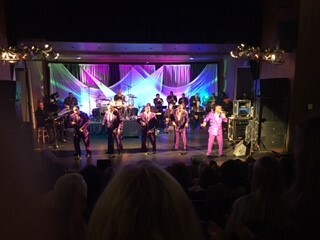 The three of us went to a Temptations Concert (A Motown Group from the 1960’s). The concert was filled to the brim with people over the age of 60, along with four eager 21 year old girls sitting right in the middle of the room. Spending time with these wonderful women, many of whom have known me since I was an awkward middle school girl, lead me to realize something. Relationships, THANK GOODNESS, are constantly changing. We did not sit, as we did in middle school just trying to figure out how this life works. Rather, our conversations were related to work, hardships we faced, and school. The relationship I have with these women, and the growth I have seen in them, makes me eager to see where my relationships with new friends from Chicago Semester will lead.